Make It Cheaper helped Richard’s Meats to save an estimated $4,080 a year by switching retailers, a lovely cut! 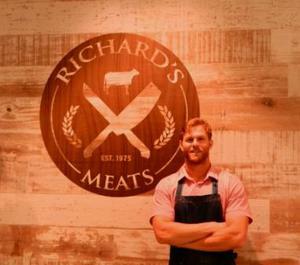 Richard’s Meats came to Make It Cheaper through one of the partner channels – The Australian Meat Industry Council. We started the partnership back in 2011 and continue to service their membership of butchers to reduce their energy bills. Once Richard from Richard’s Meats contacted us, we went straight to work, he had just moved into a new premise in Sydney and had done what most businesses do and arrange a new connection through the incumbent provider, without shopping around. He soon found out that that can lead to paying higher rates than necessary. “We heard about Make It Cheaper, and the service they provide, through The Australian Meat Industry Council (AMIC). We were made aware through the newsletters we receive from AMIC with details of how to save money on the bills. The reason we wanted to have a look at the bills was because the bills were so high! One of our resident partner experts Jace Dent called Richard to discuss his first bill and provide a comparison against the leading retailers on the panel, Jace discovered that he could switch into a no lock in contract with no fixed term and reduce the annual spend by an estimated $4,080. "Using Make It Cheaper was a good experience, the deal they put us on has no lock in contract and no exit fee, so we can pull out whenever we want, and if we call up again to do another comparison and there is a cheaper deal we can use the service again. I highly recommend Make It Cheapers service to other businesses." We’re glad to help Richard and his butchery find a lovely cut – in fact Richard can now use the savings to put back into his business and help it grow. The deal we cut isn’t just good for now, but we will contact Richard in 24 months to ensure he is still on the most competitive rates around, not only that he can contact us at any time should he want to compare again or simply ask a question about his energy bill. Visit our business energy pages to see how we can help your business save, too!